The desire to shed a few extra pounds is one that many of us share. We may feel that we would be at our best if the scale could just move several places lower. So, why can it feel so difficult to make significant headway in this goal? Though each individual’s journey with weight loss is vastly different, there are some core basics that are helpful to keep in mind when planning your own voyage. Let’s walk through them together. What are you really after, besides a lower number on the scale? The desire to lose weight generally comes from a desire for better overall health, not from an arbitrary, pre-defined number. It comes from wanting to live your life feeling better, both internally and externally. It comes from knowing that your body deserves the right treatment. Weight loss doesn’t have to be all about numbers; getting your body to feel better should be the bigger driving force. However, it can be easy to get distracted by the numbers game. Instead, focus on the positive and tangible goals associated with your weight loss. Maybe you want to have more energy around your kids. Maybe you’re feeling less mobile because of added weight. Whatever the case, turn your attention to the pieces in your life that make the journey with weight loss worth it and focus in on those when you go through rough patches. If you’ve ever tried to lose weight before and found momentary success before sliding back a bit, you aren’t alone. In fact, a whopping 95% of people fail out of their diets. That is an astounding number! Before beating yourself up about past dieting attempts, consider taking a different approach to shedding some pounds. A sound weight loss plan is about finding healthy ways to improve your overall lifestyle without throwing in too many crazy changes all at once. It’s about creating lasting, habitual change. Temporary and extreme changes (i.e. strict diets) tend to only yield temporary results. It’s difficult to stay consistent with these, and consistency is a major key in true weight loss. Start with small, attainable goals and lifestyle changes or pivots and work from there. An underutilized tool is an accountability partner. Social support is actually highly medically recommended while looking to drop some weight. Your journey doesn’t (and shouldn’t!) have to be solo, so look for those around you who could be a support system. This can be in the form of another person who is also trying to change their habits to be more healthy long-term. Lean on each other to meet up for walks or small workout sessions, and check in regularly. Having a workout partner can help hold you accountable on those days when you are having a bit more trouble with motivation to get out the door. Plus, you’ll be able to return the favor to them on the days that they’re struggling too; the emotional boost of being able to help another with their weight loss journey will feel pretty good. Remember: one of the most important caveats of setting weight loss goals is the ability to create a plan that corresponds with the reason for shedding pounds. Whether you’re looking to fit into differently sized clothes, be in better shape in general, or simply have more body confidence, there are different methods to take for each focus. Look to adopt new, healthy habits that help you align with that goal. This may include setting a baseline number of workouts per week, cutting out fast food, or simply making the effort to take a walk after your lunch or dinner meals. Whatever your goal, take the time to consider how your actions will support you in reaching that long-term. If you are able, this may be a helpful time to visit your doctor or a nutrition specialist. Speak with them openly about your desires surrounding your push to lose weight and work with them to establish a plan you feel excited about moving forward. Remember that a weight loss plan should include both some dietary awareness as well as an activity plan. Also, be sure to schedule check-in times to help keep you on track. Use them in your support system as you move through your experience. In your weight loss journey, prioritizing overall health should remain at the center of your focus. Because chiropractic adjustments can help realign the body to aid its natural function, many people incorporate this type of care into their health routine. Though adjustments alone may not be solely responsible for shedding weight, there is certainly value in helping the body function on a better level while you’re trying to improve your health. If you do choose to try chiropractic care as a part of your weight loss plan, the initial appointment will focus on getting a full history of your past health and outlining a plan to move forward with. Work with your practitioner to come to a place of mutual understanding in regards to the most beneficial ways to incorporate this new style of care into your overall plan. Many offices also offer nutritional counseling in addition to their other services. Be sure to ask about this option as well. 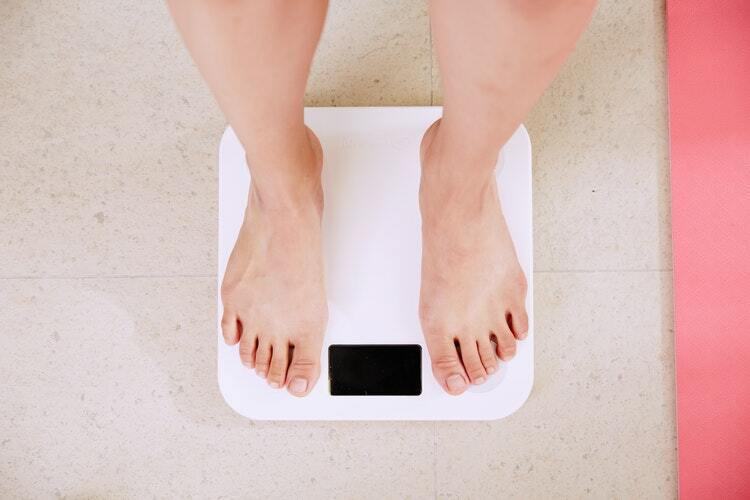 If you’re looking to take another holistic step in overall health with weight loss, it may be valuable to consider working chiropractic care into your routine. If you’d like to schedule an initial evaluation to get you started, we would be happy to get you on our patient calendar. Schedule an appointment online or call (949) 397-6699.